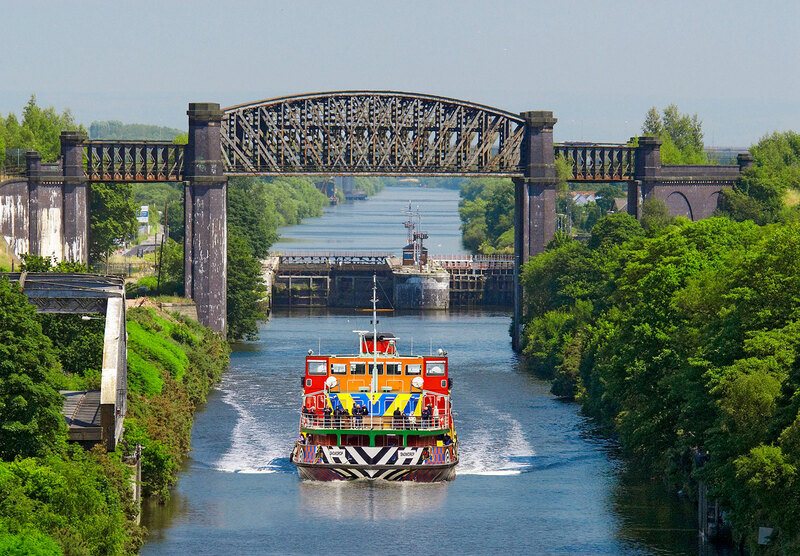 A day sailing the 35 miles of the Manchester Ship Canal along the inland waterway aboard the legendary Mersey Ferries, with live commentary describing how this magnificent waterway shaped the city of Manchester and the North West. 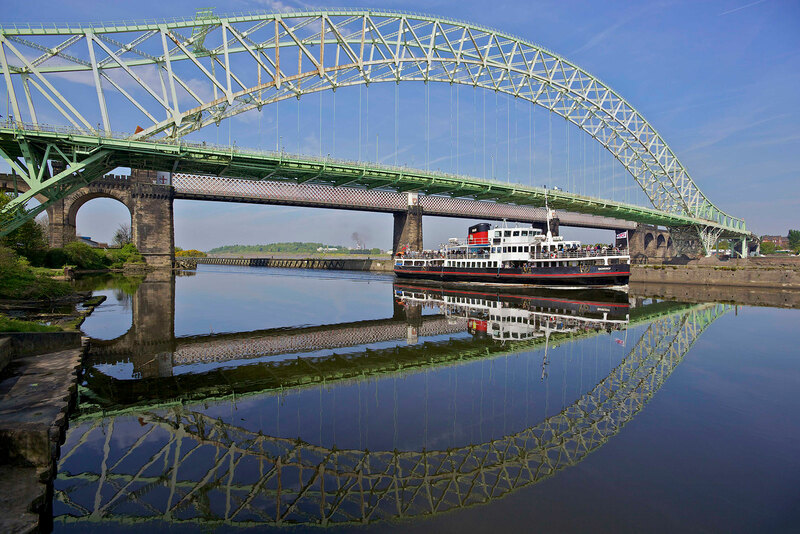 You will join at the Seacombe Ferry Terminal, the boat then crosses the Mersey picking up passengers at Liverpool. 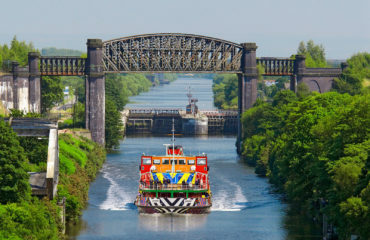 It passes through locks and bridges that have remained largely unchanged since their construction, whilst viewing some of the region’s stunning architectural and natural sights until finally reaching Salford Quays in Manchester. 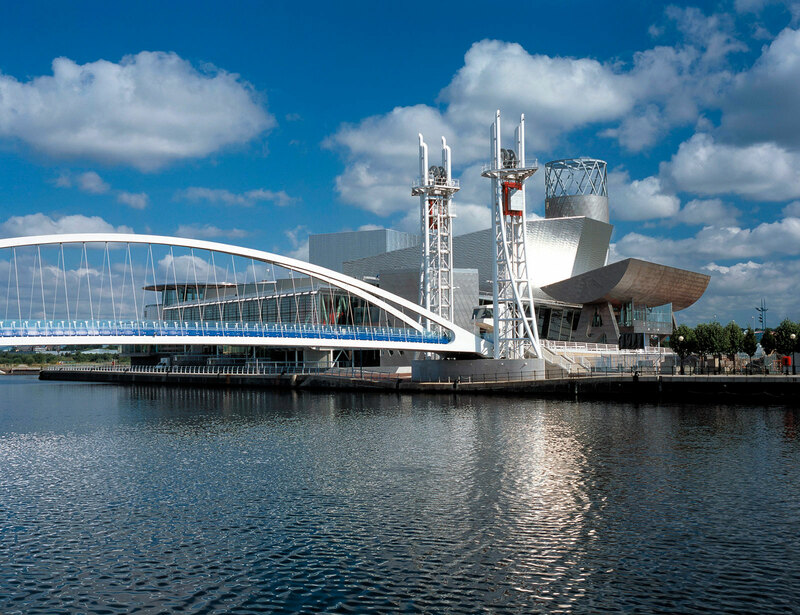 There will be an early dinner in the Lowry Centre before returning to the Rookery Hall Hotel. Two fine Cheshire Houses: A private visits to Capesthorne Hall, a beautiful family-owned mid-18th century stately home set in stunning countryside with a fascinating collection of fine art, marble sculptures, porcelains, tapestries and antique furniture collected by family members. 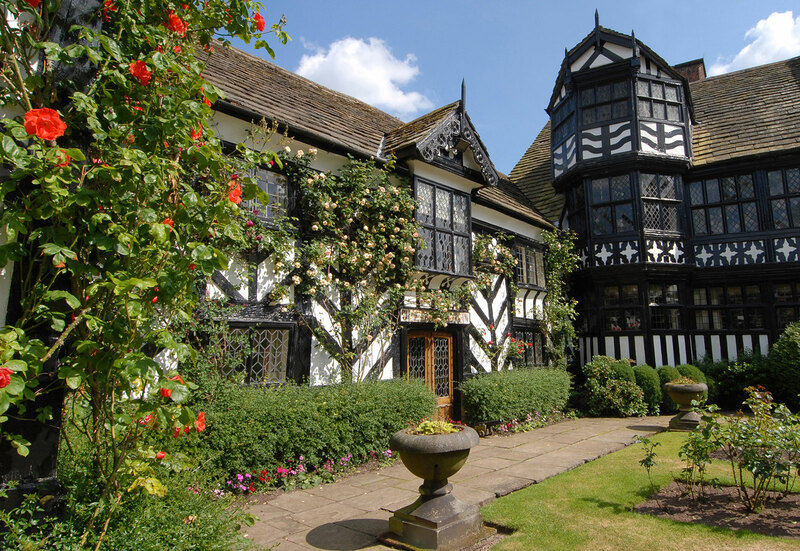 An ancient Tudor manor house Gawsworth Hall a superb example of Cheshire’s black and white architecture. 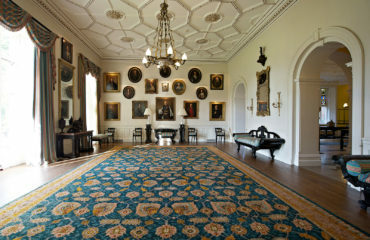 The house contains fine paintings, furniture, sculpture and stained glass. 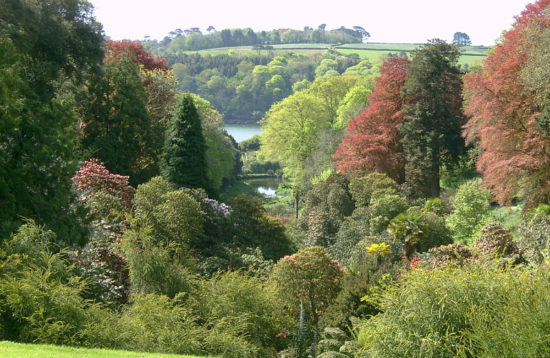 The grounds equally interesting with a rookery, tilting ground and Elizabethan pleasure garden. 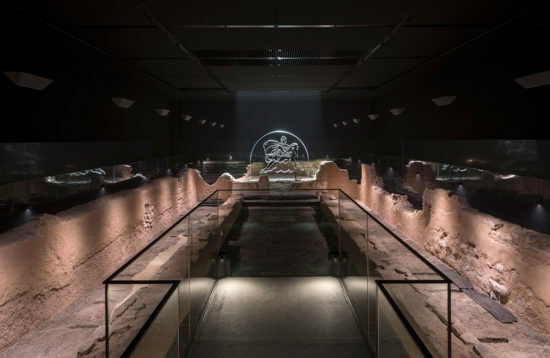 As a completely contrast – a visit to the iconic Jodrell Bank and the world-famous Lovell Telescope and Discovery Centre exhibitions. There will be a light lunch in their café. 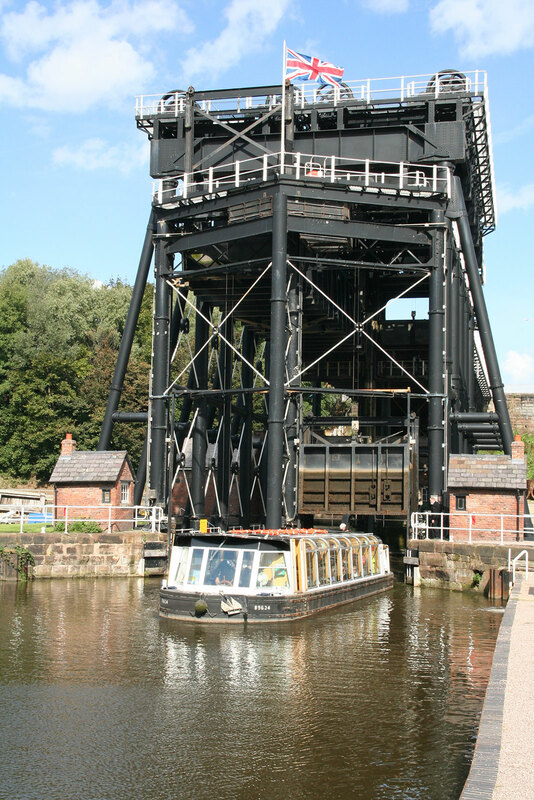 The Anderton Boat Lift is one of the 'Seven Wonders of the Waterways' – a short cruise along the picturesque River Weaver to Northwich and back before ascending, in this magnificent working Victorian heritage monument, from the river to the Trent and Mersey Canal 50ft above. 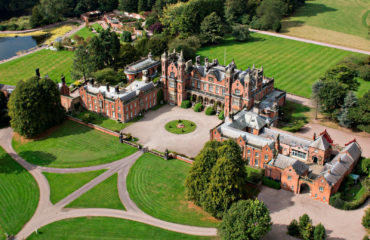 Monday 2 September: The tour stays for three nights at the 4 star Rookery Hall Hotel, near Nantwich, five miles from Crewe. 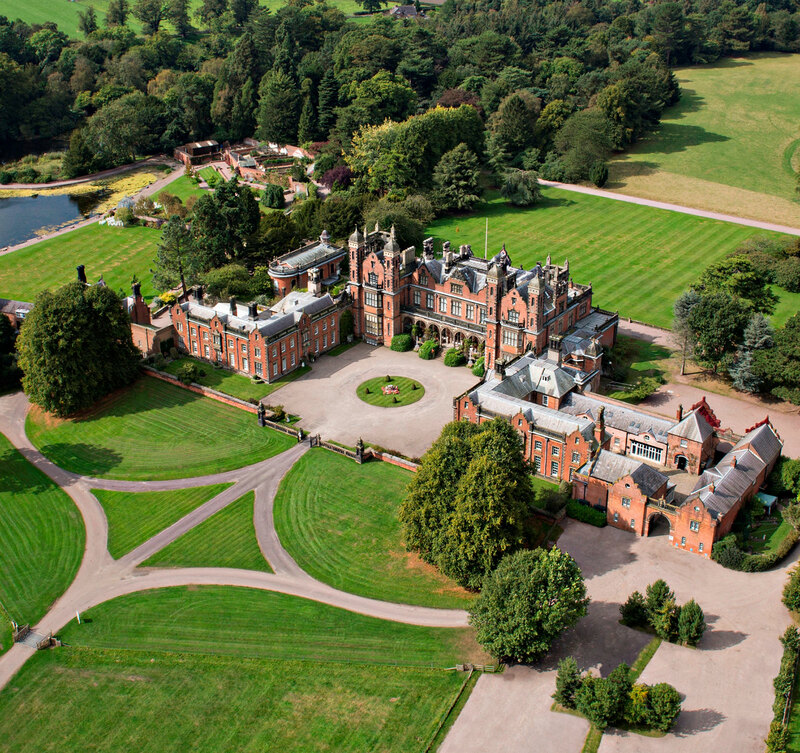 This elegant Victorian mansion retaining many of its original features is set in picturesque parkland. A luxury hotel with an award-winning restaurant, extensive spa facilities and indoor pool. Check into the hotel before welcome drink and dinner. 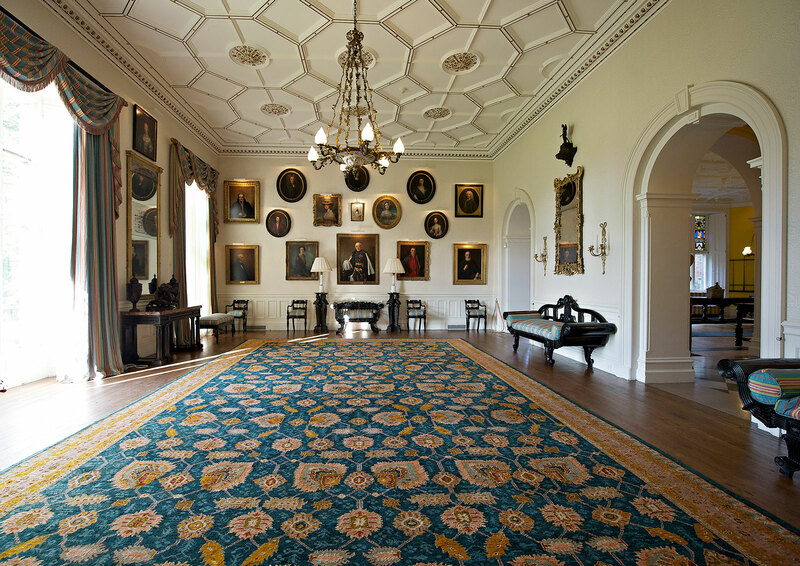 Tuesday 3 September: A morning guided tour of Capesthorne Hall, continue then to nearby Jodrell Bank for light lunch and time to view the Discovery Centre. 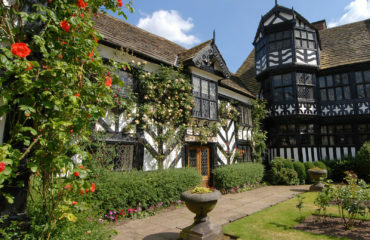 Mid-afternoon visit to Gawsworth Hall with cream tea. 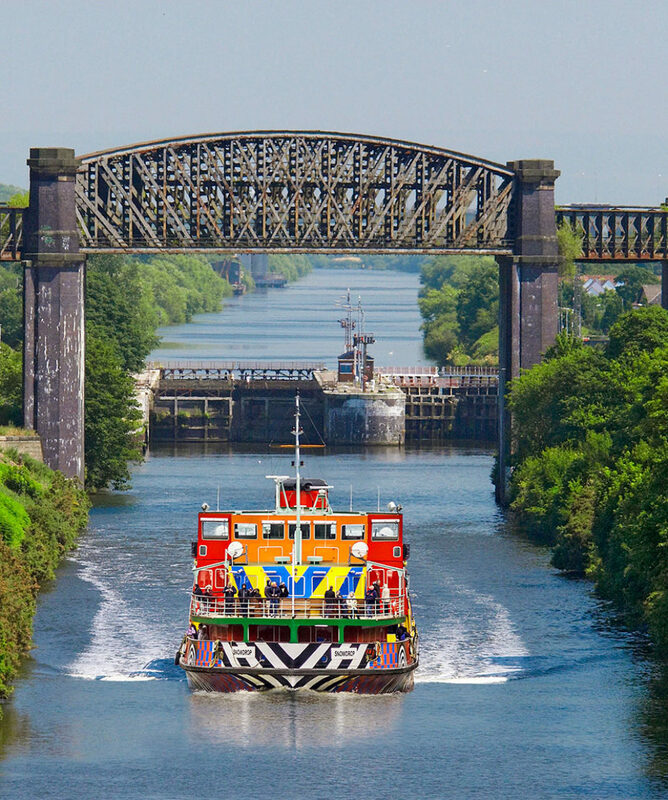 Wednesday 4 September: Manchester Ship Canal - Depart hotel at 10 am for Seacombe Ferry Terminal – boat departs at 11.30 estimated arrival Salford Quays – 5/5.30 pm (depends on locks). 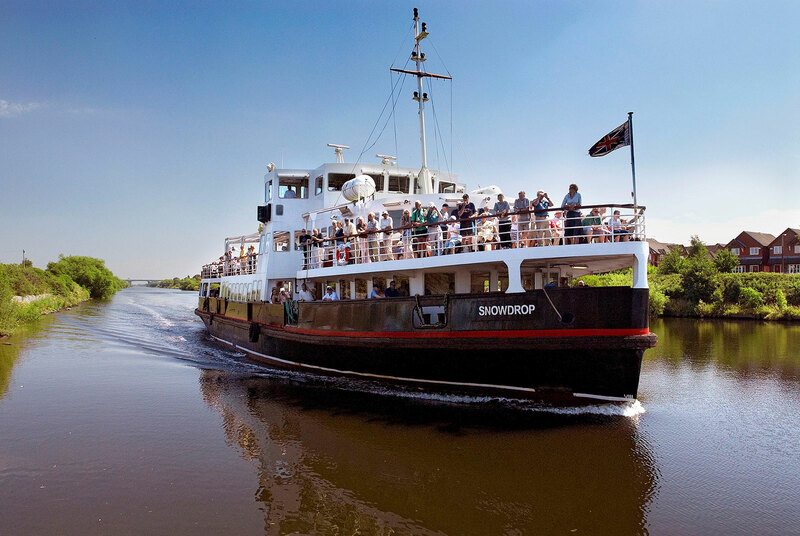 A simple picnic will be provided but additional refreshments, snacks and drinks can also be bought on board. 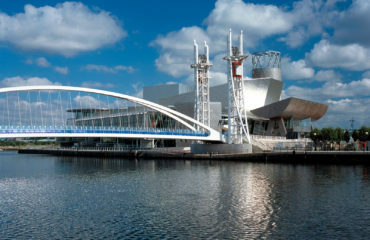 On arrival the coach will take you to the nearby Lowry Centre to dine in their “pre-theatre” Pier 8 restaurant. Coach will return from here to be back at the hotel for around 10pm. 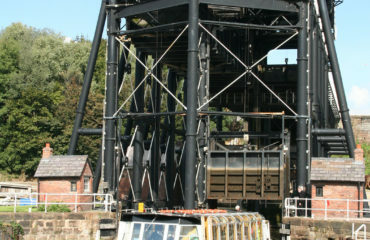 Thursday 5 September: Check out of your rooms before the visit and river cruise at the Anderton Boat Lift. 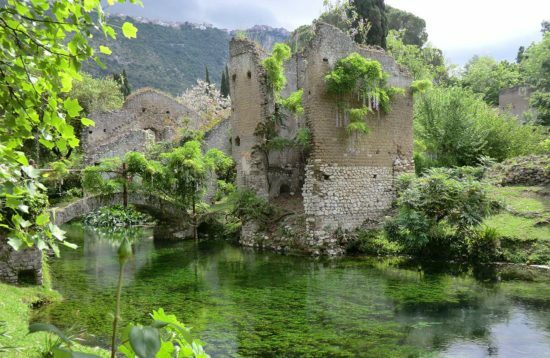 The coach will drop at the station and hotel no later than 1 pm. 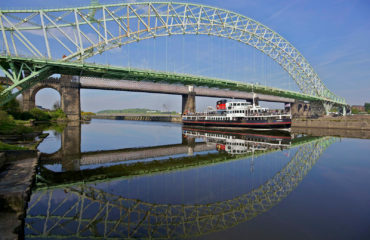 3 nights’ hotel accommodation and spa facilities, breakfast, 2 dinners and welcome drink. 2 light lunches, dinner Pier 8 and a cream tea. 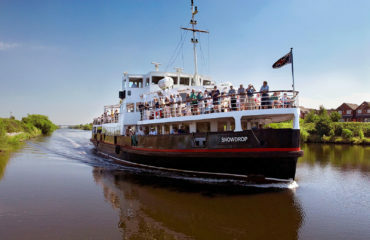 Guided tours, tickets, boats and entry fees as stated above.